11 nov. 11/11 TREGUEUX BCA TREGUEUX BCA 00 - 04 U15 GARS CTC - DEVELOPPEMENT U15G2-ALSTB-ALP-DEV Champ. 18 nov. 18/11 U15 GARS CTC - DEVELOPPEMENT U15G2-ALSTB-ALP-DEV 04 - 00 ABC GUINGAMP - 1 ABC GUINGAMP - 1 Champ. 25 nov. 25/11 BB PORDIC - 2 BB PORDIC - 2 00 - 04 U15 GARS CTC - DEVELOPPEMENT U15G2-ALSTB-ALP-DEV Champ. 02 déc. 02/12 U15 GARS CTC - DEVELOPPEMENT U15G2-ALSTB-ALP-DEV 03 - 00 PLAINTEL SP BASKET PLAINTEL SP BASKET Champ. 09 déc. 09/12 U15 GARS CTC - DEVELOPPEMENT U15G2-ALSTB-ALP-DEV 03 - 01 US YFFINIAC US YFFINIAC Champ. 13 janv. 13/01 U15 GARS CTC - DEVELOPPEMENT U15G2-ALSTB-ALP-DEV 04 - 00 TREGASTEL OS TREGASTEL OS Champ. 20 janv. 20/01 TREGUEUX BCA TREGUEUX BCA 00 - 04 U15 GARS CTC - DEVELOPPEMENT U15G2-ALSTB-ALP-DEV Champ. 27 janv. 27/01 U15 GARS CTC - DEVELOPPEMENT U15G2-ALSTB-ALP-DEV 03 - 00 ABC GUINGAMP - 2 ABC GUINGAMP - 2 Champ. 03 févr. 03/02 TREGASTEL OS TREGASTEL OS 00 - 04 U15 GARS CTC - DEVELOPPEMENT U15G2-ALSTB-ALP-DEV Champ. 10 févr. 10/02 U15 GARS CTC - DEVELOPPEMENT U15G2-ALSTB-ALP-DEV 03 - 01 TREGUEUX BCA TREGUEUX BCA Champ. 17 févr. 17/02 ABC GUINGAMP - 2 ABC GUINGAMP - 2 03 - 01 U15 GARS CTC - DEVELOPPEMENT U15G2-ALSTB-ALP-DEV Champ. 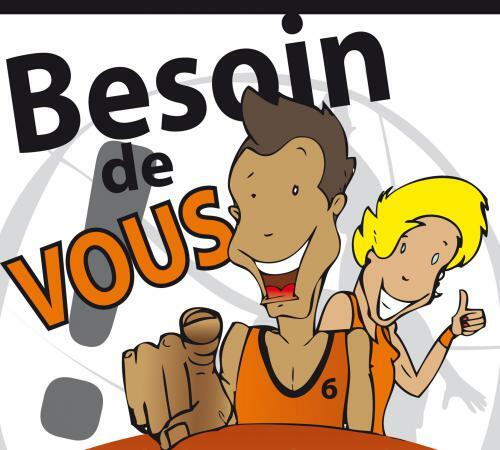 17 mars 17/03 U15 GARS CTC - DEVELOPPEMENT U15G2-ALSTB-ALP-DEV 03 - 00 PLOULEC'H BASKET BALL PLOULEC'H BASKET BALL Champ. 24 mars 24/03 TREGASTEL OS TREGASTEL OS 01 - 03 U15 GARS CTC - DEVELOPPEMENT U15G2-ALSTB-ALP-DEV Champ. 31 mars 31/03 US YFFINIAC US YFFINIAC 00 - 04 U15 GARS CTC - DEVELOPPEMENT U15G2-ALSTB-ALP-DEV Champ. 07 avril 07/04 PLOULEC'H BASKET BALL PLOULEC'H BASKET BALL 00 - 04 U15 GARS CTC - DEVELOPPEMENT U15G2-ALSTB-ALP-DEV Champ. 14 avril 14/04 U15 GARS CTC - DEVELOPPEMENT U15G2-ALSTB-ALP-DEV 02 - 03 TREGASTEL OS TREGASTEL OS Champ. 19 mai 19/05 U15 GARS CTC - DEVELOPPEMENT U15G2-ALSTB-ALP-DEV Terminé US YFFINIAC US YFFINIAC Champ.